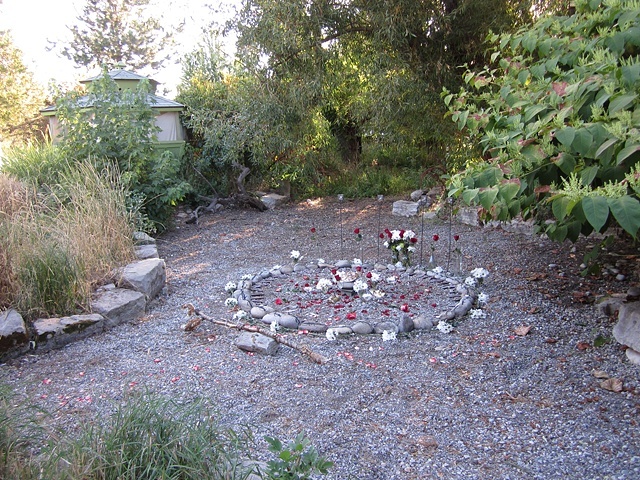 This installation was in the backyard of Star Moxley's home. It was done for an Idaho "Burning Man" weekend gathering. The day Bubb was to create the installation her husband's mother passed away (after a long illness). The nature of the installation changed from what she had planned and became about the cycle of life and death.